To a great extent, fuel price optimization is a function of marrying volume and margin. While your consumers likely know little more about fuel pricing than what they see on those huge, sans serif numbers posted on the illuminated sign outside your C-store, you know the delicate calculus that goes behind those incremental changes of a penny here and two pennies there. At least, you like to think you do. Your suspicions of accuracy are seemingly confirmed when you walk outside and see your competitors’ signs flashing the same number, but have those razor-thin margins been extrapolated correctly, and if they have been, what happens when bad news hits the airwaves? Or a supplier runs into a glitch. Or, for no apparent reason whatsoever, consumers decide to stay home, leaving your clerks to perform a deep clean and sneak in regular peeks at the game on their phones? To a great extent, fuel price optimization is a function of marrying volume and margin. Seems that with these two variables, price optimization would be as simple as plugging numbers into an Excel table and watching how one number affects the other, right? Obviously, it’s not this simple in real life, not even for the most grass roots operation. Because of the number of external forces poking at volume and margin, fuel retailers are beholden to sound strategy and informed decision-making. But what makes a pricing platform effective when various and unexpected real-life situations rear their heads? What resources best play into the management of volume and margin? An effective fuel price optimization platform places these two variables square in your sights, but what exactly does an “effective” fuel price optimization platform look like? Most mature fuel retailers have clearly refined their pricing algorithm for the normal day-to-day activity occurring at their pumps, so much so that it is hardly more than a mundane part of daily life, like brushing one’s teeth or making the bed. (You do both of those daily, right?) These retailers plan for the ups and downs of weekends, summertime, holiday travel, and such. A strong retailer even takes into consideration the irregular, “man-made” events that can significantly impact fuel volume. The NFL home games. Black Friday shopping. The local U2 tour stop. Retailers have plenty of heads-up on these volume-heavy events, and even though they fall outside of the normal ebb and flow, retailers can plan accordingly. But even the most seasoned fuel retailer is going to struggle with major unplanned events, such as weather anomalies, international events, and, Heaven forbid, political or military crises on domestic soil. It is at these times in particular, when retailers as well as consumers would likely rather stick their collective heads in the sand, that fuel retailers are sought out more than ever, and fuel volume becomes a critical question at a macro as well as micro level. When Hurricane Katrina struck the Gulf Coast in 2005, Gulf of Mexico oil production was reduced by over 1.371 millions of barrels per day. This, while a quarter of a million citizens were fleeing the state by bus, truck, car, motorcycle, and any other fuel-consuming means available. While admittedly, Hurricane Katrina was an outlier in the context of “normal” hurricanes, the fact remains that during times of crisis, consumers look to – nay, expect – their local convenience stores to enable them to manage said crisis. And while some forces of nature may render the salvation of fuel volumes impossible, it is the impartial, emotionally divested fuel pricing and optimization platform that can help retailers weather the storm, sometimes, quite literally. You’ve heard the adage about weather, that despite what meteorologists and apps and Alexa and Google and Siri and phones and computers say, the best way to know what’s happening with the weather is simply to look outside. At one time, fuel pricing consultants could simply “look outside” to know how to nudge fuel prices. Truly, those days are long gone. These days, fuel pricing comes as a result of complicated algorithms determined by sophisticated programs that are fed loads of data. Think about the old school locomotives that consumed shovel after shovel of coal in order to progress from Point A to Point B. To keep the engine running, one or more sooty, overall-clad train workers had to feed the engine fire with black, dusty coal in order to keep the wheels turning. In the same way, fuel price optimization “engines” must be fed huge volumes of data in order to churn out optimized fuel prices every day, day after day, ad infinitum. Indeed, the very evolution of fuel pricing is spurned on by the ever-changing, delicious data that the pricing engine consumes. But the most robust pricing platform does much more than simply synthesize a million numbers per second into one supreme number that is displayed on that sign out in the parking lot. Beyond the simple optimization of a single number, the best fuel pricing platforms inform the entire fuel pricing process. The tool is integrated into the larger C-store pricing and activity platform, pulling numbers from a variety of sources rather than one or two. If it were a physical (rather than digital) entity, you could imagine seeing some sort of Willy Wonka-esque contraption, complete with a dizzying network of channels, tubes, tunnels, hoses, flexible elbows, and perforated, powder-coated pipes, all coming from a variety of essential sources, large and small, and all leading to a master cylinder that magically burps out a shiny, glowing fuel price. Unfortunately, that price is not “everlasting,” and so the machine churns out new numbers daily, even hourly, as the retailer sees fit, each price a result of an integrated, comprehensive data platform. As more and more data becomes available, along with advancements in machine learning technology, fuel pricing optimization continues to evolve. The ability to utilize transactional data (for example, in-store sales between 9 am and 10 am) makes the optimization model even more precise. Data gives the model more to look back at as it produces new prices based on the current market conditions. Many readers of this blog are former customers of FuelsPricing. From independent retailers to large multi-national integrated oil companies, many are wondering how their pricing engine and practices will be impacted by the acquisition of FuelsPricing by PDI. After all, FuelsPricing existed for years as a solid, reliable, capable platform, delivering actionable, profitable information to retailers around the world. PDI Fuel Pricing remains committed to the streamlining of operational processes to improve pricing efficiency, optimize fuel profitability, and boost site and field communication. To the benefit of the retailer, the acquisition provides additional synergies due to PDI Fuel Pricing’s careful integration with other PDI solutions. The pricing data provided is now more comprehensive and more immediate, resulting in an algorithm that is more reliable than ever. The sharing of data between PDI solutions generates both operational and analytical insights that empower retailers to see how pricing affects and is affected by such things as loyalty, driving patterns, unexpected events, and other influences. 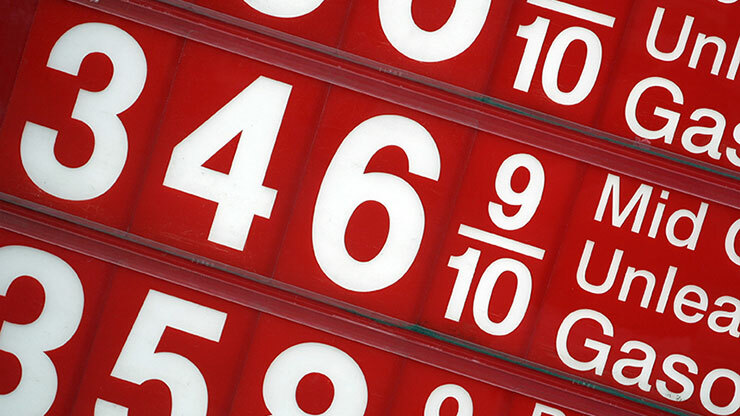 From capturing the necessary data and having it consolidated into a single place for pricing decisions, to the fast, efficient delivery of these decisions to the site, PDI Fuel Pricing provides reliable pricing information to help retailers optimize both volumes and margins.